After a surprising call by a gaming analyst promising the end of Borderlands before it had a chance, the game blew expectations out of the water. How does it happen that a game with such a grim prediction tops over 1 million copies sold? IGN has a theory, and we can't help but agree with it. Borderlands is a game made for gamers, not made to draw in new gamers. It's been an increasing trend that has game developers attempting to draw in new gamers by making casual games, or games that appeal to a non-gaming audience. As much as this has been moderately successful in gaining a new following on platforms like the Wii, veteran gamers have felt a little betrayed or even ignored. At least, that's what Randy Pitchford, Gearbox Software's president seems to think. "Perhaps Borderlands can be a lesson for all of us -- that when making a videogame, we should not be afraid to identify gamers as the audience, I wonder if too frequently publishers and developers are so caught up with going after new, untapped audiences that they can forget to care for the largest, most loyal and reliable audience there is -- the current gamer." We know from experience that co-op is the best way to integrate traditional gamers with the new type of gamer, but we're more than happy to see Borderlands overwhelmingly succeed with their focused gamer targeting. Perhaps you don't need a casual game to bring in a casual audience, but rather a game that transcends "audiences" and is downright fun. Surely what's fun for one is fun for another, no? 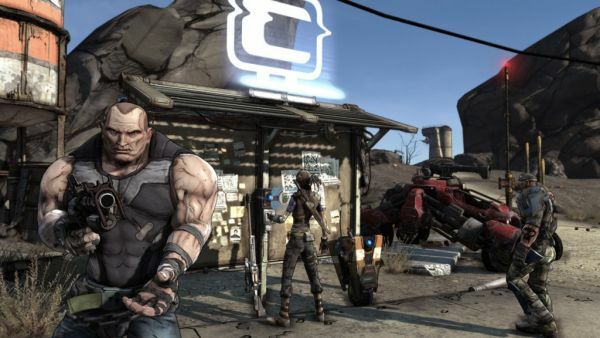 Gamers hope the fun will continue in not only Borderlands DLC, but a sequel, and while Randy Pitchford doesn't confirm anything about Borderlands 2, he does promise ongoing support for the already successful title. "We are investing a lot of time in supporting the game with free updates and paid downloadable content. There will be some announcements on both fronts soon, I expect. We have a lot of motivation to do more with the game and have a lot of lessons we're applying not only to our immediate efforts, but to our ambitions for the future." Whatever those ambitions are, sign us up. Page created in 0.4126 seconds.